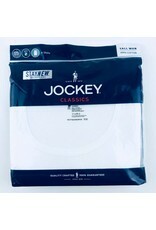 Jockey Big Man or Tall Man Tag-Free Athletic T-Shirt 2-Pack: 100% Cotton. Jockey tag-free classic design wears well under anything. Jockey Athletic Shirt features a tag-free reinforced collar for shape retention. 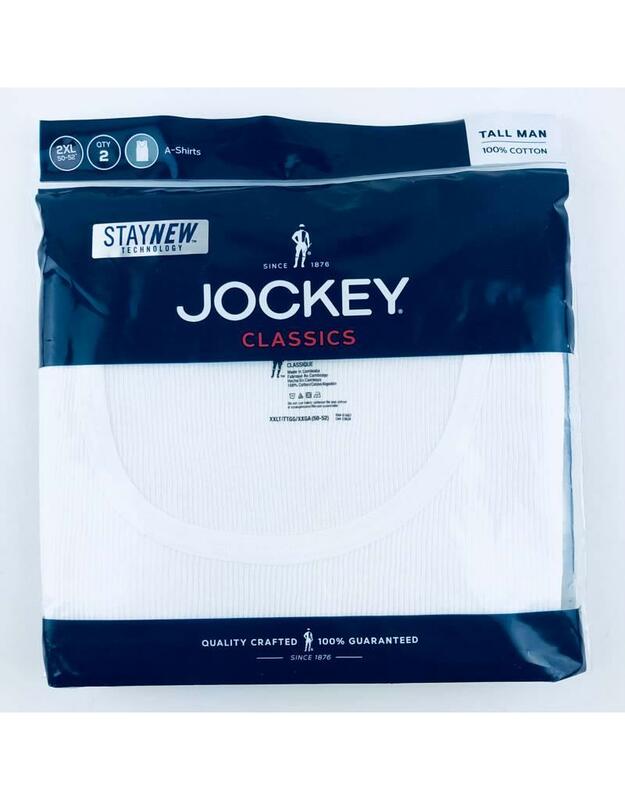 Jockey classic design is 100% cotton for a great look and lightweight feel. The big man sizes are great for the larger man, the tall man sizes provide longer lengths to tuck.